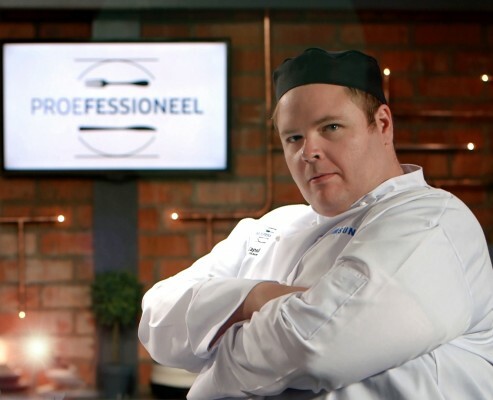 Thirty-one-year old Hennie Jansen van Nieuwenhuizen has taken top honours in the exciting SABC2 cooking competition Proefessioneel, hosted by award-winning celebrity chef Reuben Riffel. The Capsicum Culinary Studio graduate – who was once the manager of a symphony orchestra – saw off 19 other competitors to take the title and picked up prizes worth R135 000 and, most importantly, secured a position in one of the country’s top restaurants. Van Nieuwenhuizen is now employed full-time at Eight Restaurant at Spier under Chef Lorianne Heyns. In fact, Heyns was so impressed with Hennie, that she offered him a job before he was crowned the winner! But the genial chef has always been brave when it comes to following his passion. After graduating with a music degree, he was involved in the arts before he decided to make a radical career change and enrol at the professional chefs’ school, from which he graduated in July. “I have always been passionate about food. Capsicum helped me take my love of cooking from amateur to professional while teaching me important lessons about the industry. What three famous chefs do you follow and why? I follow Chef Tom Aikens, I love his organic approach to food and the seasonal, locally farmed produce on his menus. Then Chef Antonio Bachour for his sensational and breathtakingly beautiful approach to pastry. 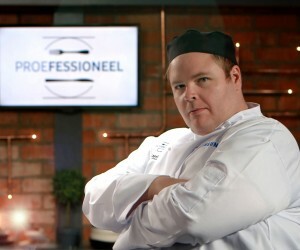 And of course, Chef Jan Hendrik van der Westhuizen, because local is lekker! Apart from knives what is your best piece of kitchen equipment? A stand mixer. With a stand mixer you can make the heartiest of crunchy breads right down to the finest of pastries. While I say this, your hands can do that too… So I suppose it’s a tie. My hands, or a stand mixer! What three ingredients would you always find in your pantry? Only three? Eggs, cream and butter, you cannot go wrong then. What would you not eat? I am a chef. I must taste everything! How else would I be able to make an informed decision about what I am serving my guests?